Learning how to fix headphones can save you a lot money in the long run if you already have the right tools on hand. Instructions in this article cover general tips for fixing wired headphones of all types. The instructions that came with your headphones may include more specific troubleshooting advice. You can also check the vendor's website for further guidance. Fixing wireless headphones, such as Beats headphones, is typically a more involved (and expensive) process. An electrical short in the wires that transmit sound. Problems with the audio jack itself. Plug the headphones in and listen for audio: If the sound is cutting in and out, bend the cables as you listen for feedback. If you can hear audio when the cables are positioned in a certain way, there's an electrical short, and you need to repair the headphone's wires. Gently push the plug into the audio jack: If you hear sound, you might need to fix the plug. 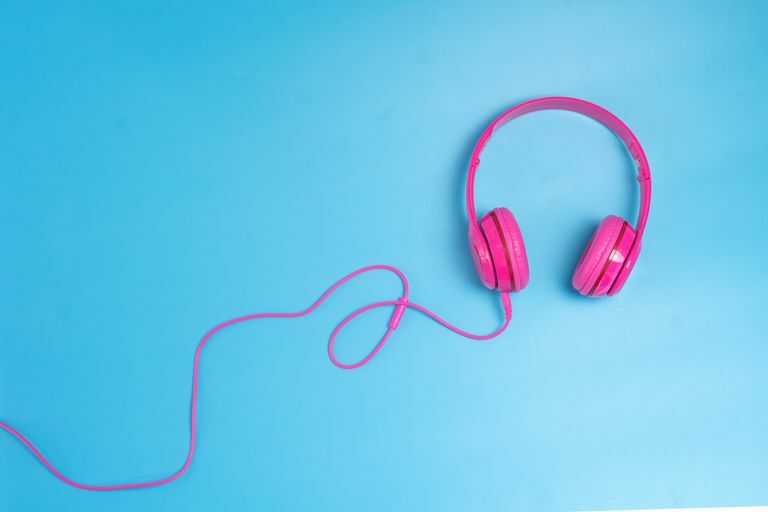 Use another pair of working headphones: If you don't hear anything, you may need to fix the headphone jack itself, which is an entirely different topic. Use a multimeter to test the wires: The multimeter will beep if no breaks are detected. If you can't get it to beep, you must repair the wires. If one side has no audio at all, you might need to fix the earpiece. If your headphones are still under warranty, you may be able to get them repaired for free by a professional. Check the documentation that came with them for troubleshooting information. Use extreme caution when using a soldering iron. Turn it off and return it to the stand when not in use. Do not touch the heating element. If the problem lies with the wires, you may be able to fix your headphones without cutting them open. As you twist, bend, straighten, and adjust the cord, you might hear audio as the damaged wires touch. Use this strategy to determine exactly where the faulty connection is. Shorts usually occur near the earpiece or the jack. When you find a position that allows you to hear sound, hold the cord in place with your fingers. Continue holding pressure on the cable as you wrap electrical or duct tape around the short. If done properly, the tape should compress the cable enough to keep the wires touching. If you can, try bending the cord over on itself and taping it together at the kink to prevent it from moving. If the above method doesn't work, you'll have to repair the broken wires. Identify the site of the short by either manipulating the cables or using a multimeter, then follow the steps below. Make sure the headphones are not connected to power or another device. Mark the site with a permanent marker or piece of tape. Carefully strip the surrounding cable insulation using wire strippers or a knife to expose the broken wire. If you have a cable that looks like two cables glued together, each one will contain an insulated wire. One carries the signal, and the other is the ground wire. Other headphones have a single cable housing two insulated wires for the left and right signal in addition to one or two ground wires. Cut the cord in half, severing any intact wires. Try to make an even cut so the wires are the same length. If just one wire is broken, you can try soldering it without cutting the cord, but the connection won't be as sturdy. Strip off more of the cable to expose more of the wires, then sort the wires by color and type. Use a lighter to burn off the enamel coating on any bare wires. Quickly move the flame over the wires to expose the copper ends. Splice the exposed wires. Join the two sides of each wire making sure to connect wires of the same color. Hold the two ends of each wire parallel and twist them together. Use a third hand equipped with alligator clips to hold the cables in place as you work. Solder the wires. Use a soldering iron to melt a tiny dab of solder over the spliced wires and allow it to cool. Wrap the the signal wire(s) in electrical tape to keep them separated from the ground wire. If you have two base wires, tape them together as well. Once all of the wires are connected, tightly wrap the exposed area in electrical tape. Alternatively, you can slide some shrink tube over the cable while you're working, then use a heat gun to make it constrict around the repaired cable. If you headphone's plug is damaged, you can purchase a replacement at an electronics store or online. Be sure to choose a metal plug with stereo connection and a spring that's the same size as your current plug. Slice off the old plug. Cut through the cable about an inch above where the cable and plug meet. Some cables can be screwed off, but the problem likely likes at the base of the cable, so you should cut it regardless. Use scissors or wire strippers to remove an inch of the cable's cover and expose the wires. Sort the wires by color and type, then use a lighter to burn off the enamel coating. Twist like-colored wires together. If there are two ground wires, twist the frayed ends of both together. Slide your new headphone plug's sleeve over the wire so the part that connects with the plug is facing the exposed wire. Melt a tiny dab of solder on the end of each wire, then allow the solder to cool. Add solder to one of the pins in the plug's housing and apply heat to melt the solder. Touch the soldered end of the wire to the soldered pin to connect the wire to the plug. Repeat the process for the other wires. You can roughen the edges of the soldered wire with sandpaper to make it easier to connect with the plug pins. Assemble the new headphone plug by screwing the jack sleeve into the plug. Make sure the wires aren't touching and the sleeve is tightly secure. If one earpiece isn't working due to a short in the cable, you can just fix that portion of the cable; however, if the problem lies with the earpiece itself, the fix is more complicated. Due to the varied designs of different headphone brands, replacing a broken earpiece is a job best left to the manufacturer or another professional. Disassemble the broken earpiece. Consult the manual or the maker's website for guidance. You may need a size 0 crosshead screwdriver if there are screws to remove. Some earbuds can simply be tugged apart. If you see any severed wires, reattach them to the headphone driver by soldering them to the bare pin. If multiple wires are loose, check the manual to determine which wires goes where. Make sure the wires are not touching one another. Reassemble the earpiece and test it. Cut the rubber seal around the driver and remove it. Put the new driver in the empty slot making sure not to touch the thin diaphragm. Add a tiny bit of glue around the edges to keep it in place. Reassemble the repaired earpiece and test it out.